Inspired by the glamour of vintage swimming costumes the Ava is the perfect accompaniment to any sheer garment. Double-lined and elasticated at all edges this knicker is guaranteed to keep everything securely in place whilst the high waist and Brazilian-style back serve to flatter your form and lengthen the legs. Details: Soft elastic at the waist and legs to ensure a secure fit. Double lined for maximum opacity and support. 4-way stretch for ultimate comfort. 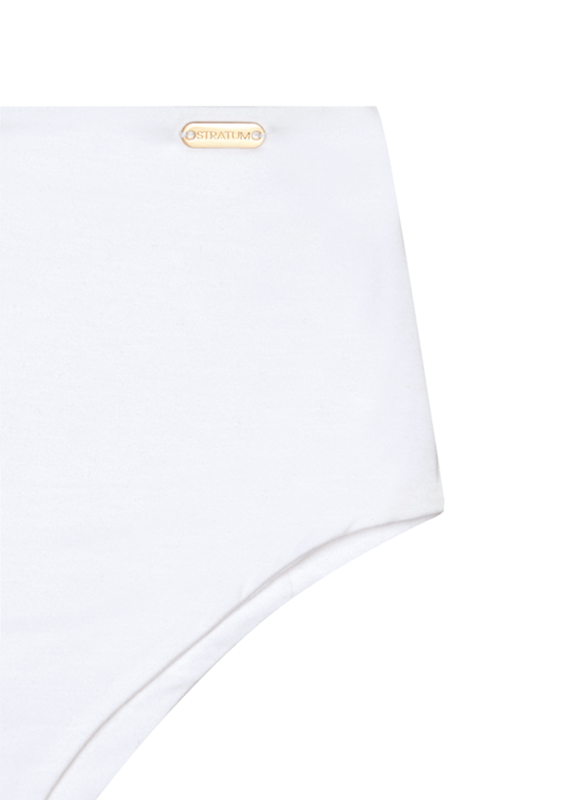 Bamboo lined gusset for comfort and breathability. Gold hardware. Made from soft and natural 100% organic bamboo jersey. It’s clever, structured underwear masquerading as outer-wear. Lily Branfield, the designer behind Stratum, creates ethical, luxury underwear which celebrates body positivity. Branfield predominately uses bamboo fabric, a material that is more sustainable and environmentally friendly than cotton. Her designs are produced by skilled workers, working under a fair wage in safe conditions in London. It is created for exclusively for wearer. Stratum is distinctive for its smooth silhouettes, sculptured to the curve of the body. The styles are embellished with small, gold hardware pieces that complete an uncomplicated, luxe look.